The mycorrhizal symbiosis is an ancient interaction between plants and fungi, the basis of the symbiosis being enhanced nutrient uptake for the host plant and a carbon source for the fungus. In this chapter we explore the potential for mycorrhizae to enhance plant survival and growth in extreme environments, specifically via enhanced nutrient uptake, protecting the host plant from soil contaminants and enhancement of stress-reducing biochemicals. We include a case study of mycorrhizal function in high-temperature soils. 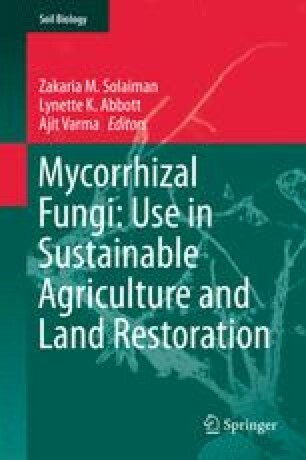 Further research to identify the potential for acclimation versus adaptation of mycorrhizal fungi can better inform management applications of mycorrhizae on disturbed sites.